Chris Kettmann is a co-founder and partner of Lincoln Churchill Advisors. Throughout his career, Mr. Kettmann has advised public and private companies of all sizes and geographies on developing and executing comprehensive, strategic communications programs. His clients have spanned a variety of industries – with a particular focus in the industrials, energy and natural resources sectors. Mr. Kettmann’s work has included extensive messaging, crisis management, shareholder activism and market intelligence counsel, incorporating in-depth research and analysis and a network of relationships built throughout his approximately 17 years in the financial communications industry. Mr. Kettmann has had considerable experience working on initial public offerings, domestic and cross-border M&A transactions and contested proxy campaigns. He has also acted as interim in-house investor relations officer, as well as the head of corporate communications, for several clients. 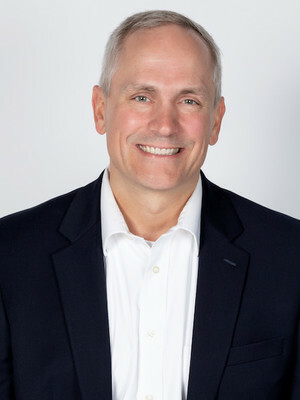 Prior to founding Lincoln Churchill, Mr. Kettmann co-founded Clermont Partners, a financial communications firm focused on cross-border, transaction and crisis communications. He also served as the firm’s chief financial officer. Before that, Mr. Kettmann was a Managing Director at FTI Consulting – a global, strategic communications firm. During his tenure at FTI, Mr. Kettmann served as head of Capital Markets for the Energy & Natural Resources segment as well as the lead investor relations consultant for Transocean throughout the BP oil spill crisis and subsequent activist fight with Icahn Associates. Before FTI, Mr. Kettmann was a Senior Vice President with financial communications firm Ashton Partners until its acquisition by FTI in October 2007. Mr. Kettmann has spoken at numerous communications industry events on topics such as the impact of shareholder activism, the importance of a CEO’s involvement in the public policy debate, M&A trends in the oil & gas industry and building best practice investor relations programs. He has also been a member of NIRI for the past 16 years and currently sits on the Board of Directors of the NIRI Virtual Chapter.